Shakespeare is not just some dead old white guy. OK, he is, but the genius that was his when he was the hippest thing in 1600 London—the genius that manifested in his plays—lives on today and still speaks to us. 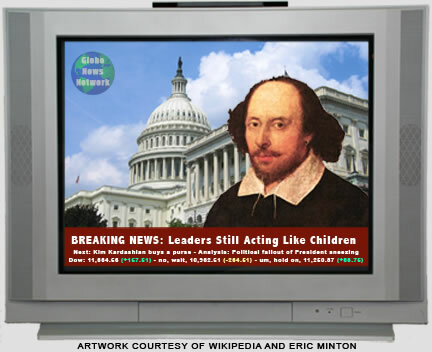 This section of Shakespeareances.com features observations on Shakespeare's relevance to our 21st century world. Shakespeare portrayed people living some 400 or more years before his time, their politics, their passions, and their psychoses. Amazingly, at the same time he portrayed people living some 400 or more years after his time, too, their politics, their passions and their psychoses.